A Connecticut middle school principal has laid down the law: You put your hands on someone — anyone — in any way, you’re going to pay. A violent incident that put one student in the hospital has officials at the Milford school implementing a “no touching” policy, according to a letter written by the school’s principal. East Shore Middle School parents said the change came after a student was sent to the hospital after being struck in the groin. Principal Catherine Williams sent out a letter earlier in the week telling parents recent behavior has seriously impacted the safety and learning at the school. “Observed behaviors of concern recently exhibited include kicking others in the groin area, grabbing and touching of others in personal areas, hugging and horseplay. Physical contact is prohibited to keep all students safe in the learning environment,” Williams wrote. Oh boy. Where to begin? Look, I don’t envy public educators. They get it from all sides. They are in the position of being able to please just about nobody no matter what they do, so the best they can do is just try to cover their butts from a standpoint of legal liability and make the most of whatever it is they have. They are officially there to educate children, but for all practical purposes, they also have to function as a pharmacy, a daycare, a counseling service, and virtually every other child-related service imaginable. Legally, public schools cannot be flexible enough to allow kids to be kids, because they are ultimately the responsible party if something goes wrong. Any ambiguity or grey area only increases their exposure to liability, thus the black-and-white, crystal-clear world of zero-tolerance policies. The bottom line is that every rule exists because of an after-the-fact need for one — zero tolerance policies are an attempt to pre-empt that after-the-fact need. The more conscience people have, the fewer cops are needed; the more cops, the less conscience. Is it ridiculous? Of course it is. Do zero-tolerance policies relieve administrators of having to think about how they apply the rules? Of course they do. Is the goal of education taking a backseat to the necessity of keeping order? You bet. Are absurd situations being created, like zero-tolerance policies on weapons being understood to apply to things like school plays? Yessir. Are we eventually going to be encasing our kids in sanitized, hermetically-sealed plastic bubbles at school and keeping from from directly interacting with anybody? Probably. Are we overly-sanitizing more for the sake of the convenience of administrators than the benefit of students? Pretty much. But, in all honesty, twenty years ago when I was in junior high, it wasn’t exactly like they were breeding grounds of justice and fairness then, either. They can’t be. Their job is to educate. In order to educate they have to have and keep order. In the absence of being able to do that, they can’t afford to be liable for what goes wrong. They can’t directly mete out consequences to individuals that will mean anything — and by and large, I don’t think I’m exaggerating to say that as a society we fear what that would look like — so as things get worse, all they can do is have a “one-strike-and-you’re-out” policy that applies to everybody. We’re sending kids to school with a lot of baggage these days, and we expect the schools to check that baggage for them while they are under the school’s roof. When I was in elementary school and junior high, it was “latchkey kids” and “kids from broken homes” that had people worried. Even as late as 1985/1986, when I was in fourth or fifth grade, divorce was a scandal among us kids, enough so that we didn’t quite know what to do with kids whose parents were divorced. Mostly it was poorer families who needed to have both parents work and thus making kids go home to an empty house. Now those are pretty much the baseline of what is normative. If that’s all a kid brings to school with him/her, everybody’s gotten off easy. Is homeschooling, the ultimate “opt-out”, the answer? I don’t know. Maybe. I don’t claim to know what the perfect solution might be. Our society is what it is. Our kids are what we’ve made them. I have very little sympathy for administrators who arm themselves with zero-tolerance policies like they’re bulletproof vests and then claim that they have no choice but to blast with a firehose rather than paint with a brush, but I also understand that most of them are human, and wouldn’t choose for things to be this way. Every day we are robbing ourselves, and our children, of more and more of our own humanity, and the inevitable consequences take away even more of it. Eventually we’re just going to give the rest of it away because it’s too much bother, and it’s going to look a lot like a zero-tolerance no touching policy. 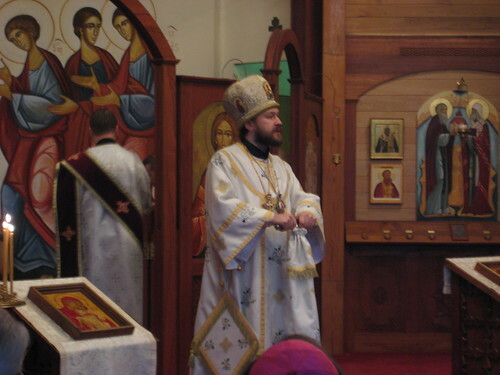 By decision of the MP Holy Synod on 3/31/09 +Hilarion Alfeyev is appointed bp. of Volokalamsk, vicar to the Patriarch of Moscow. +Hilarion is appointed head of the Dept. of External Relations and permanent member of the Holy Synod. ….. +Mark of Yegoryevsk will temporarily oversee the Vienna, Austria/Hungary eparchy. This gets less and less clear the more Met. PHILIP attempts to explain. Greetings and Blessings to you during this holy season of The Great Fast! 1. Are there any other diocesan bishops, outside our Archdiocese, that are affected by the Holy Synod’s decision? Answer: Yes. In the Patriarchate there are three bishops, the Bishop of Saydnaya, the Bishop of Qatana, and the Patriarchal Vicar. In addition, the Archdiocese of Akkar had the Bishop of Tartous and the Bishop of Marmarita & Al Hosn. The Bishop of Marmarita & Al Hosn was elected as Metropolitan for the Archdiocese of Western and Central Europe. The Bishop of Tartous was elected to succeed Metropolitan Paul Bendali in the Archdiocese of Akkar. He refused to have either diocesan or auxiliary bishops in his Archdiocese at this time. 2. There seems to be differences in tone and meaning between the Arabic original and the English translations of Articles 77 and 78. Can these be clarified? Answer: The English translation was my best effort. If someone can produce a more accurate translation, this would be most welcome. 3. What were the intentions of the Holy Synod in formulating these amendments? Answer: The intention was to have good order and consistency throughout the Holy See of Antioch by normalizing the status of all bishops. 4. Is the Pittsburgh Constitution binding, since it was duly approved and implemented by the legally binding decision made at special Archdiocesan Convention of July 2004? Answer: The constitution is binding to the extent that it is consistent with the decisions of the Holy Synod of Antioch, which is the highest authority in the Church of Antioch. The Holy Synod has the prerogative to modify any decision that it had previously approved. 5. Since official Archdiocesan documents state that the provisions for self-rule, including those pertaining to the local synod of the Archdiocese, are irrevocable, as witnessed both by the Pittsburgh Constitution and the Patriarchal version of October 15, 2004, how can they be overturned by amendment of the Patriarchal by-laws? Answer: We can find no language in any Constitution, or the original decision of the Holy Synod dated October 10, 2003 which indicates that the provisions of any constitution or by-laws are irrevocable. 6. Given that the granting of self-rule required that the Patriarchal Constitution be amended to reflect the self-ruled status of the North American Archdiocese, and that this constitution governs its by-laws, not vice versa, how could the Constitution be overturned by amendments of by-laws? Answer: The Patriarchal Constitution was never amended to reflect self-rule status, so the February 24th decision is consistent with the current in-force Patriarchal Constitution. 7. What was the need, and why the urgency, for a special meeting of the Holy Synod of Antioch? Were constitutional procedures followed for the calling of that meeting? Answer: At the October 7th, 2008 meeting of the Holy Synod in Damascus, His Beatitude appointed a special committee which included the Archbishops of Aleppo, Hama, Homs, and Akkar to study the question of the status of bishops across the See of Antioch, and to make a recommendation which would normalize that status. The meeting of February 24th, 2009 was convened to hear this recommendation and to act on it. The Patriarch may convene a meeting of the Holy Synod at any time that he sees fit. 8. Given the fact that the mechanism of resolution for possible problems or disagreements is specified in our Constitution as belonging to the Local Synod of Bishops, with right of appeal to the Patriarch and the Holy Synod, why were these amendments necessary? Answer: The February 24th decision was not a result of any wrongdoing by any bishop. It was necessary to normalize the status of all bishops across the See of Antioch. 9. We are not aware of any study, investigation, or report containing information regarding concerns of disunity or other issues of disagreement within our Archdiocese. What was done by our bishops that precipitated the Holy Synod’s decision? Did the Patriarch discuss these issues with our bishops when he visited in the fall of 2008? Answer: Once again, our bishops did not do anything that precipitated this decision. It should not be viewed as a matter of discipline, since this was not the intention. To my knowledge, the Patriarch did not discuss this with our bishops during his visit in the Fall of 2008. 10. How can enthroned diocesan bishops be dethroned other than on specific canonical grounds? Answer: To dethrone a bishop is to remove him from his episcopal throne. This has not been done. The status of the bishops has changed from diocesan bishop to auxiliary bishop. 11. If there is no local synod within our Archdiocese, in what way do we retain our status of Self-Rule? Answer: Our Archdiocesan Synod remains in place. The February 24th decision made no mention whatsoever of self-rule, or a change in status of the Archdiocesan Synod. 12. If Bishop BASIL, for example, is no longer Bishop of Wichita, what is his current title? Answer: Our bishops will carry the title Auxiliary Bishop of the Diocese of (name of Diocese). As an example, Bishop BASIL carries the title Auxiliary Bishop of the Diocese of Wichita and Mid-America. 13. How are we to understand the status of bishops who were not only enthroned but also consecrated for specific dioceses, if they are no longer bishops of those dioceses? Answer: They are Auxiliary Bishops who are overseeing a Diocese on behalf of The Metropolitan. 14. Are the dioceses which were created at the time of our becoming self-ruled now reduced to regions? Answer: No. The dioceses remain intact and they retain their current names. 15. We understand that the decree was sent for approval to all the members of the Holy Synod. Did they all respond? What were their responses? Answer: We are not privy to the individual responses from each member of the Holy Synod. Suffice it to say that the decision was approved by a majority of the Holy Synod. It is our prayer that the remainder of your Lenten journey will be greatly blessed. There are, it seems to me, a number of key points here, but I’m curious about what everybody else sees before I offer my own half-baked analysis. A few days ago I was finally able to reveal three of the four postulatory poultry I was previously unable to prematurely tabulate in their prenatal condition. I was able to confirm that the fourth had indeed hatched, but, while perhaps broadly and obviously hinting at its nature, I did not elaborate. I will do so now. 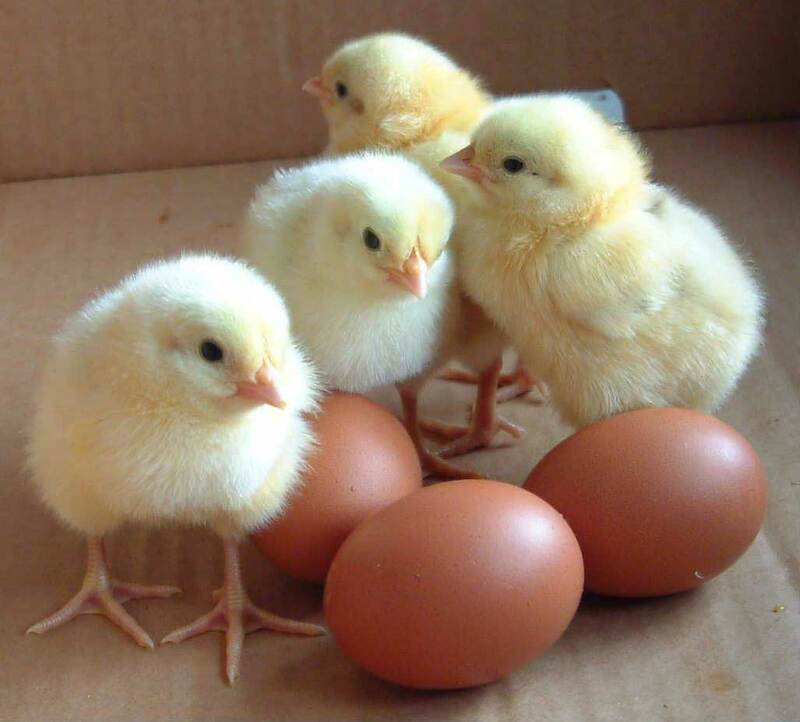 In case you hadn’t figured it out, hatched chicken #4 takes the form of me being the recipient of a summer FLAS fellowship in addition to the academic year FLAS (hatched chicken #3). This means I will be spending seven weeks at The Athens Centre in, well, Athens (Greece, not Ohio) doing four hours a day, Monday through Friday, of immersion-level Modern Greek. With a few days on either side of it to make sure I’m not trying to study through jet lag, I’ll be there about eight weeks, leaving the United States probably around 10 June and returning around 5 August or so. I have a number of hopes regarding this trip. One, of course, is that my wife will have a chance to come for a visit. Another is that I might be able to study Byzantine chant a bit while I’m there with somebody who knows what they’re doing. I have a note out to people who hopefully would know who I might be able to contact, but in case anybody else has any suggestions, let me know. I also hope to get to Thessaloniki, as well as Meteora and perhaps make a sidetrip to Turkey. I have been hearing rumblings about this since the second half of February; I was officially told on Monday, but I haven’t known for certain it was for public consumption until today. I will need to book a plane ticket soon, as well as renew my passport. So, there we are. Four eggs, four hatched chickens. Ricardus est insufficiens petitor neque enim, Deo gratias. As both of my longtime readers might recall, I was in a very real state of professional despair at the beginning of the 2008-2009 academic year. Much had gone wrong; I had been working my tail off only to be told, “You can’t get there from here,” it appeared that nobody had any idea what to do with me, and it seemed like I was totally out of options. Wanting to still take advantage of my IU employee fee courtesy but feeling overwhelmed at the thought of taking more Syriac and starting Coptic with no clear road to having anything I might be able to do with them, I did a two-for-one swap for Modern Greek, figuring that I would be able to leverage the work I’ve done with ancient Greek and have a reasonable semester or two. Long story short, the Modern Greek professor and I uncovered the idea that me doing a Masters in West European Studies would be beneficial for both of us. It would help me convert a good chunk of my unmatriculated credits into a degree within a semester and a half or so, and having an additional graduate student who specialized in Modern Greek issues whom he could add to his roster would help him in his efforts to raise the visibility of the Modern Greek program here. He gave me some very useful counsel on my personal statement, wrote a letter of recommendation, and in general went to bat for me every step of the way. This brings me to hatched chicken #1, previously announced here, that I was admitted to the Masters program in West European Studies back in December. While I was gathering my letters of recommendation for West European Studies, a member of the History faculty whom I had approached to write for me said, “Yes, I’m happy to write, but have you thought about applying to History again?” No, I replied, I hadn’t; it had rather seemed to me that the door had been closed on that possibility when I was turned down three years ago. This person disagreed, and very much encouraged me to apply. “You’re a much different candidate than you were then,” I was told, “and I’m not concerned about you having a B.Mus. rather than a B.A. in light of the other things you’ve accomplished in that time. I think it would be worth the fifty bucks for you to apply.” I was told, very frankly, that funding could well be an issue for a number of reasons, and it would take some talking to get me admitted as an unfunded student if it came down to that, but I was also told that as much advocacy for my case as this person could legitimately offer throughout the process would be employed. I was dubbed a “professional applicant” by another member of the History faculty when I discussed this matter with them. This is somebody who has been there since the first time I applied to History, and with whom I’ve had a near-annual conversation about what I’m applying to next. I alluded to this in an intentionally vague manner here. To make a really long and drawn-out story a little less long and drawn out, I am thrilled to say that hatched chicken #2 is that I have been admitted to graduate program in the Ancient Studies field of the Department of History, and I’ve been awarded a five-year funding package. Exactly where I’m focusing my interests is still coalescing, but it will be the Late Antique Byzantine Empire someplace, probably with a particular interest in Syria and the Middle East. We’re not quite done yet. West European Studies encouraged me to apply for a kind of a fellowship called a FLAS — Foreign Language and Area Studies. Essentially, it’s federal money which supports graduate study of modern languages, and there are two components, an academic year component and a summer component. The academic year component is full support for two semesters; the summer component supports summer study of at least a certain number of contact hours, including travel if necessary. I applied for both components with Modern Greek as my language; once again, my Greek professor had some very useful advice on my personal statement, and was happy to write a letter of recommendation. And thus and so it came to pass that I found myself with hatched chicken #3, the academic year FLAS. History has been obliging enough to allow it to displace, rather than replace, a year of my funding package with them, meaning I have six years of full support with a good chunk of coursework already completed.I still have a lot of work ahead of me, but I should have a reasonable amount of space in which to get it done. Then there is that fourth κοτοπουλάκι running around here someplace. He’s hatched, but I need to make sure he calms down and won’t try to fly away (thus falling to the ground like a stone) before I show him to my friends. That shouldn’t be long. In terms of why I’ve had to be circumspect about some of this, well, word on blogs and Facebook accounts tends to travel fast, and I have both an employer to consider as well as various other people whom I could put in an awkward position if I said anything prematurely. Until egg #4 hatched (or broke apart revealing a runny yolk), I couldn’t tell those good people anything for certain (and it will be clear why once I can tell you about it), and I couldn’t really announce it publicly until I told them what was happening. In general, I try to not post anything that might come back to bite me later on. One way or the other, this has all been a rather stunning turn of events for me. Although my path has remained less-than-linear, to say the least, it’s been a real game-changer of a year, let me tell you. Δόξα τῷ θεῷ πάντων ἕνεκεν! If you’re just here for the Greek, then, as promised, I’ve posted my guide to Unit IV of Hansen and Quinn on the Greek Resources page. I’ve also posted some corrections to a couple of other units, and I’m not entirely certain they aren’t corrections of corrections. I’ve switched platforms, word processing software, and keyboards once or twice since I embarked on this project, and I think every time I have done so it is has given rise to accenting errors on my part. Apologies. On the other hand, I’ve managed to post a new unit within roughly six weeks of the last one. I will do what I can to Unit 5 posted within that same timeframe. As always, if you have questions, comments, requests, complaints, insults, “your mom” jokes in Greek, whatever, e-mail them to me, leave as a comment, send smoke signals (no promises I’ll get them or understand them if you do send smoke signals, however), and I’ll see what I can do. So, I was going to post something about my bewilderment to the negative reactions I had read to the announcement of a pan-Orthodox synod. I was going to rant and rave that we’re treating bishops, particularly foreign bishops, as enemies and as antichrists, that we seem to be assuming the worst about certain figures by default, that it seems sometimes that our communion is very tenuous and fragile and can only be preserved by not talking about or trying to solve our issues. I was going to point out that it is the family that won’t discuss its problems that is dysfunctional, and that it is the fear of this synod happening that is the clearest demonstration of its necessity. I was maybe even going to let slip that I was investigating scholarly avenues to perhaps attend one of the planning sessions as a lay observer. With regards to the United States, the submission to the First Throne of the Church, that is, to the Ecumenical Patriarchate is not only fitting with the American society and mentality but also it opens up the horizons of possibilities for this much-promising region, which is capable of becoming an example of Pan-Orthodox unity and witness. The Mother Church of Constantinople safeguards for the Orthodox Church in America those provisions that are needed for further progress and maturity in Christ. Go read the whole thing. I’ll wait. Here’s the thing — on some very big things, he’s not wrong. Ecclesial administration problems at the local level brought on by “how Americans do things”? Check. Orthodox Christianity being brought to America by people here to make money, not serve as missionaries? Check. How monasticism tends to work in this country? Check. Imbalance, demographic and otherwise, to say nothing of other issues with respect to priestly formation, among convert seminarians? Check. Lack of a decent pool of candidates to be monk-priests? Check. Most important — thirst for an authentic faith in the United States? Check. If he had left it at that, and then related those points to the possible function of the Ecumenical Patriarchate in the United States, that would have been fine. Instead, he took some potshots (granted, not in a vacuum), strongly implied that the OCA is essentially a vagante group towards whom everybody else has just been magnanimous enough to not break communion, and made some assertions that it would take serious nerve on the part of anybody in any jurisdiction to make. I’ll leave it to my commenters to discuss what I might mean. That there is disagreement over how the Church should exist in America is no surprise. The United States is a very strong center of gravity when it comes to political and economic influence, so everybody wants their own little piece of it, and nobody wants to give up the possibility of having a piece of it. The irony is, it’s everybody not wanting to give up their little piece of it that means Orthodox Christianity is unlikely to be more than a very minor blip on anybody’s radar. I heard a story once about a Roman Catholic hierarch saying, “The trouble with the Orthodox Church is that it doesn’t exist.” Well, we exist, but sometimes it sure looks like we’re a communion of people who don’t like each other too much. We can appear as the family who keeps track of who isn’t talking to whom this week, and will only go to family reunions if we can each sit at our own table, alone.